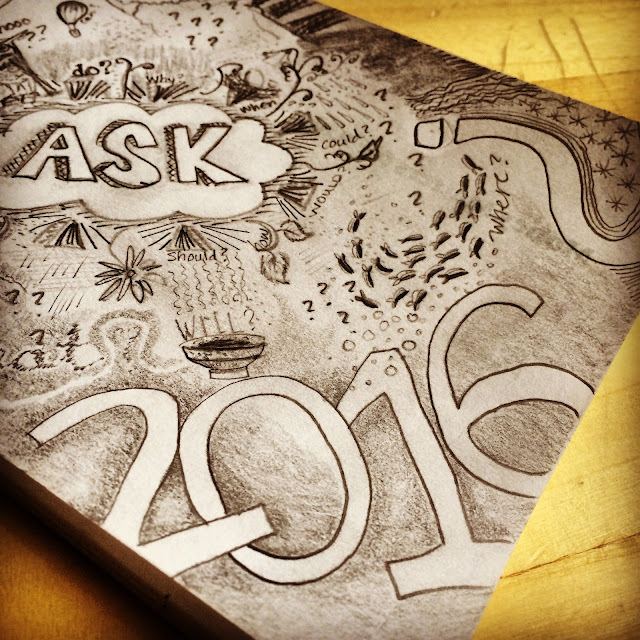 A thought and action I've set my mind on this year: ask. It doesn't hurt to ask. And yet for me asking can be painful. Sonetimes I'm too timid to voice my concerns or request help. Sometimes social situations clamp up my soul and mouth. Sometimes I dread the answer. Sometimes I'm too busy and distracted to ask the important questions. And sometimes I ask rhetorically without waiting for or even believing there will be an answer. Ask deep questions. Ask the seemingly stupid question. Ask on behalf of others. Ask permission. Ask God... And receive. Ask people about themselves. Ask for help. Ask myself why I want something. Ask forgiveness. Ask and listen to the answer.